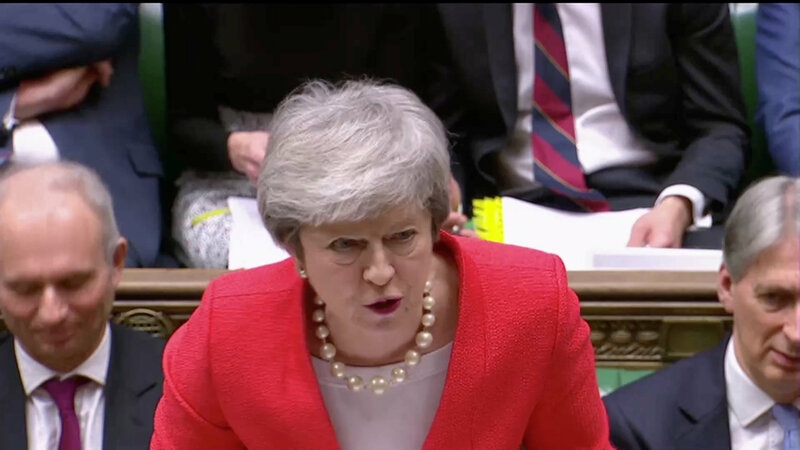 Prime Minister Theresa May’s Brexit deal faces a heavy defeat in parliament on Tuesday because she has so far secured no major changes from the European Union, the leaders of two major eurosceptic factions in parliament said on Sunday. Parliament rejected May’s deal by 230 votes on Jan. 15, prompting the British leader to return to Brussels in search of changes to address the so-called Irish backstop – an insurance policy designed to prevent the return of a hard border between Ireland and Northern Ireland. “In the event of this vote on Tuesday not going through, nobody knows what would happen. In everything that followed there would be total uncertainty – that would be the only certainty,” health minister Matt Hancock told Sky News.